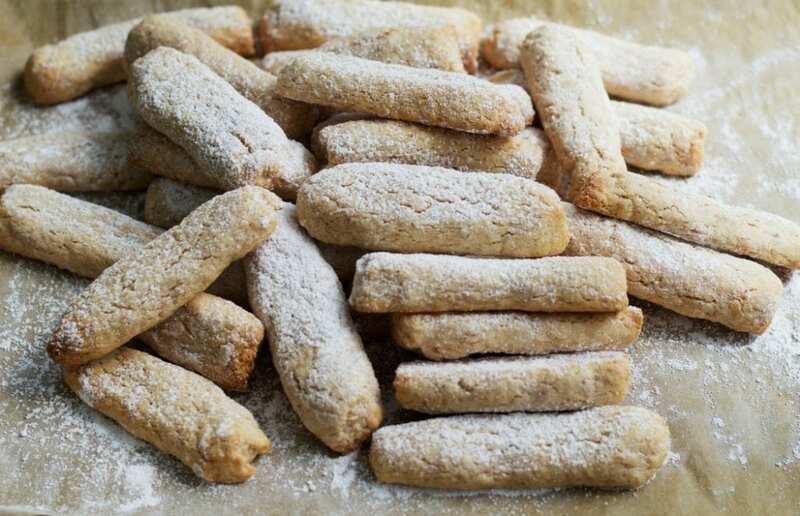 The bones of the dead cookies (ossa di morto) are almond cookies that are traditionally eaten on November 2nd (All Soul’s Day, or Day of the Dead) which falls right after All Saint’s Day. In Italy it is called ponte 1-2 Novembre (the bridge of the 1st and 2nd of November) and schools are closed and depending where you are in Italy, probably many businesses. If you google this holiday in Italy, you will come across all sorts of getaway holiday offers for this long weekend. There is probably more excitement to be off from school and maybe work than to realize why these days are really a holiday. What Saints are celebrated on November 1st? Halloween isn’t an Italian holiday, although I know it is becoming more and more popular with kids (and even adults) in Italy. 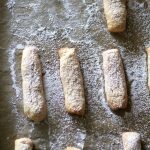 You can even find many Italian food bloggers posting fun and spooky Halloween recipes. But traditionally, this time period was always very solemn in Italy. Today (All Soul’s Day-Giorno dei Morti)is a day when you are supposed to pass by the cemetery and bring flowers to remember your loved ones. While you’re there, you should spiff up the graves of your family members and you may even find some people spending time there in remembrance of their loved ones for hours. But that may happen only in Sicily.My dear cousin Alessio sent me a photo this weekend of my family’s grave in Sicily. The granite marker has the photo of my dad, my nonno Giuseppe (my grandfather), my nonna Mattia (my grandmother), my zio Giovanni (my uncle Giovanni that I never met that died on his 19th birthday), my great grandparents from my nonno Giuseppe’s side. All 6 of them are buried in this family grave. So much history can be found walking around the cemetery. So much of my own family history can be discovered exploring the different angles of this peaceful resting place overlooking the Mediterranean Sea in Sicily. The bones of the dead cookies (ossa di morto) can be found at bakeries only for the All Soul’s Day (Day of the Dead) holiday in Italy (and many other countries). I was talking yesterday with a friend that just moved here from the Abruzzo region of Italy and she said she’s never seen a cookie for All Soul’s Day where she is from. Now I’m not saying it doesn’t exist in Abruzzo, but maybe just in her area she’s never seen it.The ones that are made in Sicily are made with cloves and the dough is supposed to rest for 1-3 days. I’m not sure I have the patience to wait 3 days to put my cookies in the oven to bake, but perhaps next year. In Tuscany they are called ossi di morto and it’s served with Vin Santo. 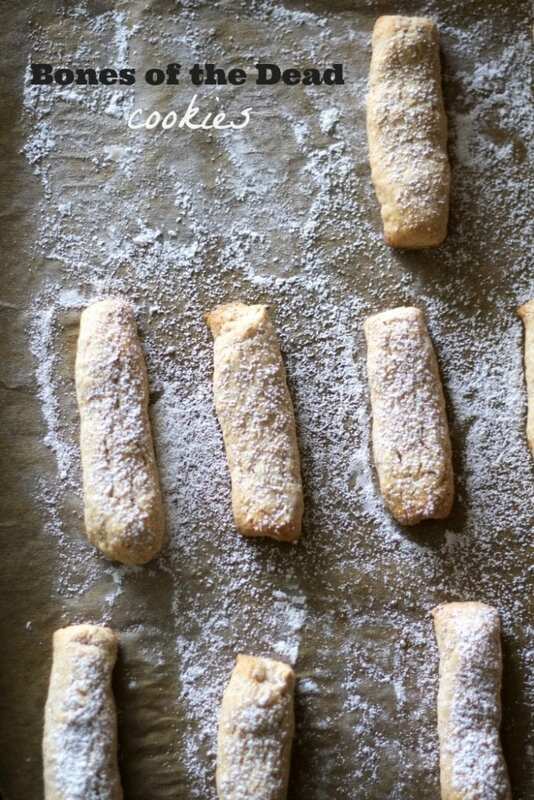 Ossi da morto from the Veneto region are made with white wine, baking soda and even potato starch (Italians use potato starch in a lot of baking recipes). In some parts of Sicily they are called scardellini and in Little Italy of New Orleans, they have one bakery that is famous for their Skidelina (maybe a different spelling of scardellini?). There are also cookies for All Soul’s Day (Day of the Dead)called Fave da morto, fave dei morti or fave dolci. There is a a great reference to fava beans and death in Italy. In the Lombardy region where my in-laws live (and this is a typical recipe from that area), they are also called ossa da mordere and in dialect oss de mord. In Naples (Campania region) you can find torrone dei morti. In Sicily in some parts you will find this cookies covered with chocolate. You can also find Pan dei Morti in Lombardia, and le Fave dei Morti in Emilia – Romagna. So many different recipes and names all over Italy for this one occasion’s sweets. Why are these cookies called Bones of the Dead Cookies? Ossa di Morto (or Ossi dei Morti), means bones of the dead in Italian. When you really think about the name and the shape of the cookie, it is sort of macabre and even creepy. I couldn’t tell my kids that these were “bones of the dead”, as they probably would run instead of thinking they were cool!The cookies are shaped long and skinny and when you pile them all up together, it does look like a bunch of bones. But they sure are delicious and creepy cookies!! Ossi da morto cookies are made in Italy shortly after the season’s first almonds are harvested in September. I wish I could say I was in Sicily trying the season’s just harvested almonds…maybe one day! There are recipes that include almonds and hazelnuts. I made mine with almonds and also the Italian liqueur called Nocino (a liqueur from Emilia Romagna made with unripe walnuts). Don’t get confused in thinking the cookie texture will be like a typical Italian biscotto. 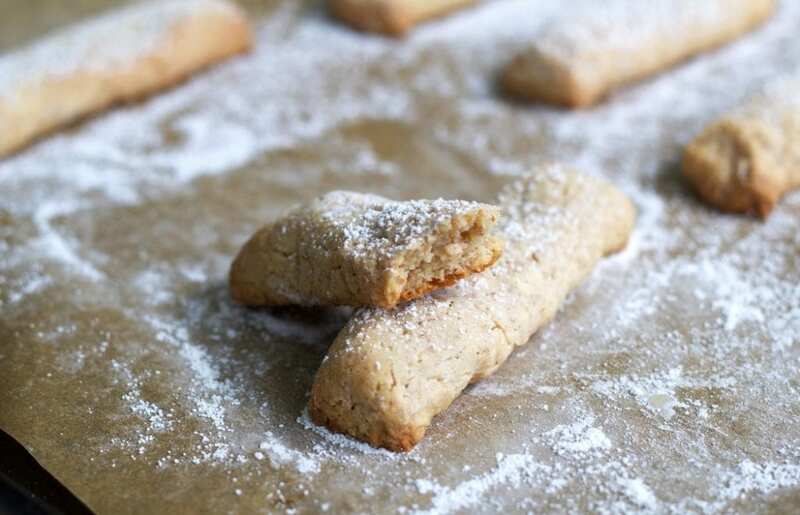 Biscotti are crunchy, but not as crunchy as these cookies. The cookies are more hard and crisp than chewy (maybe like the texture of a bone!). 1. First thing you need to do is grind almonds, if they aren’t already ground. 2. Cream the butter, sugar, eggs, vanilla. 4. Mix together the dry and wet ingredients and the Italian liqueur (if you’re using it). 6. When dough is ready to bake, roll into logs. 7. Cut the first long log in half, and then cut it into small sections. 8. Cut each piece about 3 inches long. 9. It makes about 3 trays with 12 cookies.Each cookie will not end up being the same, and I suppose that also makes them look more “bone like”.I offered them to our friends that came over for an impromptu barbecue before trick or treating last night, and everyone loved them. Just warn your loved ones and friends before they take a bite, as I did, that they are very crunchy. I added a little bit of whole wheat flour, but feel free to use only all-purpose flour. I have seen recipes that use yeast and some that use baking powder. This recipe is without any leavening agent. A typical cookie that is hard and crunchy and full of wonderful spices. This is a cookie that varies from region to region to Italy and is eaten to remember loved ones that have left us on All Soul's Day. Line 3 cookie sheets with a parchment paper. Cream the butter and sugar. Add in the egg white mixed with the vanilla and beat on medium speed for a minute or two until combined. In a small bowl, combine the flour, ground almonds, grated lemon zest and spices. Slowly add in the flour mixture and mix until combined, stopping the mixer to scrape the sides of the bowl and combine all the flour. Add 1 Tablespoon of the Nocino (or other liqueur or water). Add in more 1 teaspoon at a time if needed until the dough is combined (but not too wet). Remove the dough and wrap it in plastic wrap. Let chill for about 30-45 minutes. While dough is chilling, preheat the oven to 350 F.
Lightly flour a clean counter or a pastry board. Cut the dough into 4 parts. Roll the first part of dough into a rope that is about 18 inches long. Cut the rope into two parts. Cut the first section into cookies that are about 3 inches long and about 1/2 inch thick. Line them up with some space between them on a the first baking tray. Press down a little on the cookie. 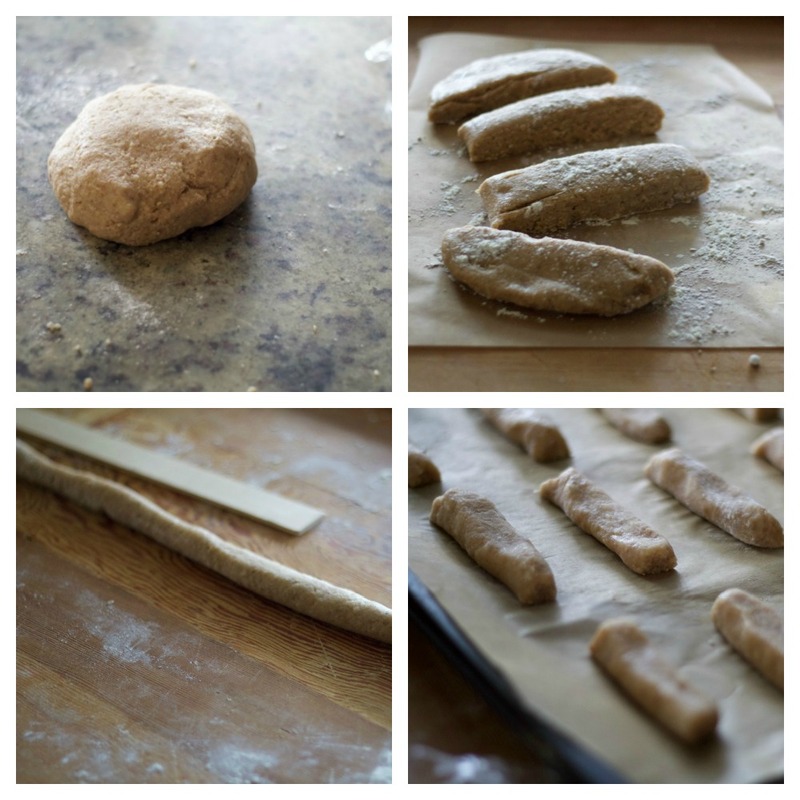 Continue the process with the other parts of the dough. Bake for about 15 minutes or until the edges just start to turn golden brown. Dust with confectioner's sugar. Love these! I cannot wait to try them! Great for dunking in caffe! These look wonderful! My cousins in Italy have a bakery, and they do now make many Halloween cookies. I had no idea about this Italian tradition, but I love it. I am hoping to one day make it to Italy to find where my family came from. It would be amazing to find my family's grave plot. It's been years since I've had these! My grandfather used to make them when I was a little girl! I'd eat these ALL year long!!! Wonderful post about italy's traditions. We hope to visit one day soon. These cookies are awesome. So good to see you using the Recipe Generator. I hope you share these at Dishing It & Digging it. The party is live every Sunday 4:00 EST. I had no idea they celebrated Day of the Dead in Italy. What a wonderful tradition and these cookies are worth a celebration, too! And these cookies look great! These sound delicious and I love all the background info!